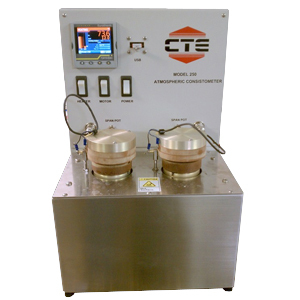 A non-pressurized, or “atmospheric,” consistometer can be used to obtain a thickening time for low-temperature cement systems; however, it is typically used for the conditioning of slurries before rheology, fluid-loss, or free-fluid tests. The consistency of the slurry is measured in Bearden units (Bc). 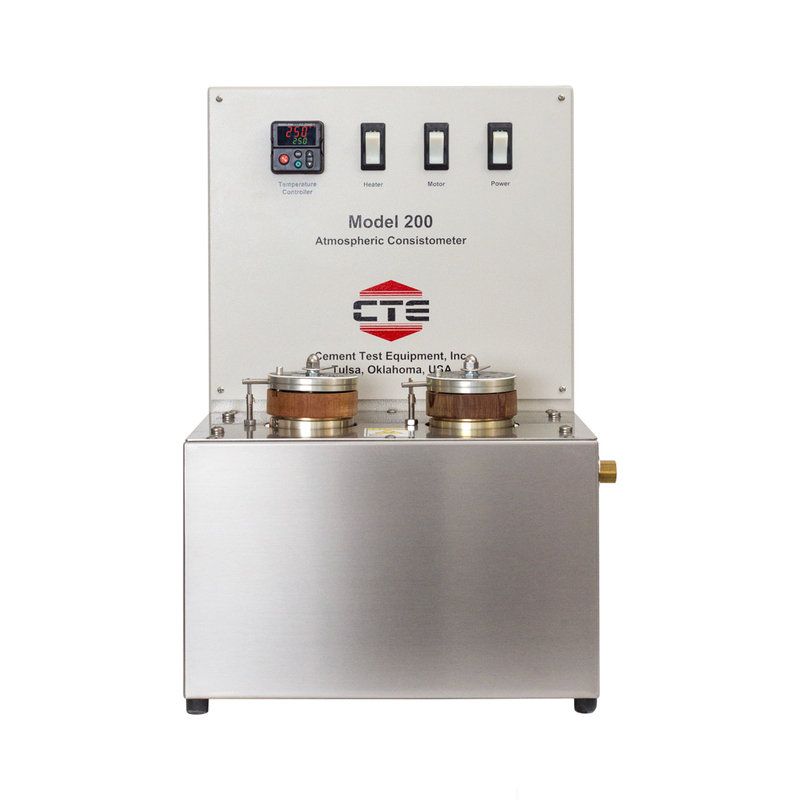 A maximum temperature of 250F (121C) is achieved by utilizing a circulating oil bath to distribute heat around the rotating cups. Twin cell design provides additional capacity. A digitally recording design is available for improved data acquisition.